At some point in our lives, we are likely to experience a crippling sense of anxiety. The statistics speak for themselves—according to the Anxiety and Depression Association of America, roughly 40 million American adults a year will suffer from an anxiety disorder. It is a serious issue that continues to plague the lives of believers and non-believers alike. 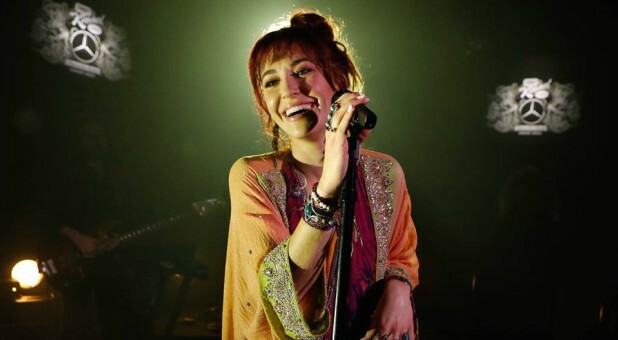 At a recent Q&A session in Knoxville, Tennessee, Christian singer-songwriter Lauren Daigle opened up about her own mental health struggles and talked candidly about how her faith helps her manage often crippling anxiety. Responding to a question posed by a young fan about how to effectively deal with anxiety, the successful recording artist talked freely of her faith in the Lord and how this acts as a healing balm during times of emotional strife. "I wouldn't necessarily say I'm an anxious person, until anxiety comes," Daigle explained at the Look Up Child Tour event March 14. "It happens a lot." Click here to subscribe to the Faithwire newsletter.